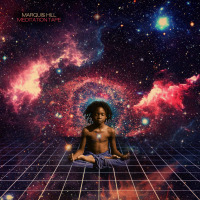 "The universe and us are the same," proclaims legendary drummer Marvin Bugalu Smith between tracks on Marquis Hill's ethereally groovy Meditation Tape. Recordings of Bugulu Smith narrate the 7-track album by Hill, one of Chicago's foremost trumpeters. Hill describes the short record as a "beat tape," and it plays that way, a divine hip-hop vibe always present. 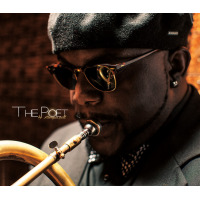 Hill's hornreverb-ed, delayed and multipliedacts as the MC, freestyling post-bop-influenced verses over the rhythm section's insistent grooves. Hill's smooth tone and striking improvisation are enhanced by the trio of musicians who lay down a rich and dreamy foundation for the trumpet player. Keyboardist Brett Williams pulls tones from the Fender Rhodes that are reminiscent of R&B and dance synthesizers. All the while electric bassist and drummer Junius Paul and Makaya McCraven lock into solid beats, intentionally placing and displacing 16th notes. The musicians establish a stable sense of time, yet their playing remains light to the touch. On "Eternal Spirit," McCraven's snare influences the song's feel, his backbeat sounding like a sentient and soulful drum machine. The album's opener, "Good Morning," is a stand-out track, and has a sleepy feel to it. The gushing trumpet melody is underscored by the keys' visceral sounds. As Hill begins to improvise, Williams' lightly twinkles beneath, comping the solo with melodic expertise. As the instrumentalists drop out one by one at the tune's end, the recording of Smith, taken from an interview, begins. He introduces himself, speaking on his experiences with meditation and oneness. Bugulu's words shape the feeling of the album and he offers nuanced ideas that Hill, in turn, tackles musically. Hill takes inspiration from all types of black music and aims to blend diverse genres, synthesizing his songs together from many places. The tape finds musicianship, concept and aural aesthetic becoming one, balancing each other perfectly. As Smith explains that his spirituality informs and enables his musical abilities, Hill enhances this idea further with his own talent. Track Listing: Good Morning; We Must Be One; Coming out of the Universe; The Power of Truth; Eternal Spirit; Get the Money; Towards the Light. 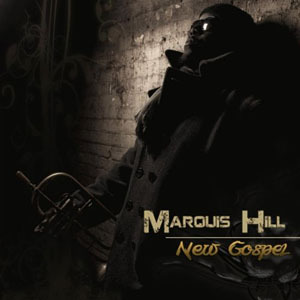 Personnel: Marquis Hill: Trumpet; Brett Williams: Fender Rhodes; Junius Paul: Bass; Makaya McCraven: Drums.